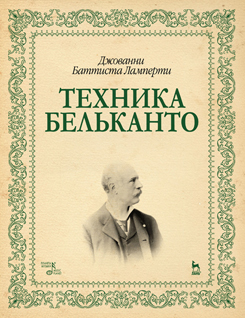 The book of the Italian teacher Giovanni Battista Lamperti (1839–1910) “Bel canto technique” is the description of the techniques and the rules of the old Italian singing school. The book contains the information about the physiology of the voice, the inhale, the articulation, singing techniques. It gives the characteristics of different voices and practical advice for singers. The edition is accompanied by the drawings and score patterns that are vocal exercises. The book will be interesting for vocal teachers, students and singers.